The Competition and Consumer Protection Commission (CCPC) is an independent statutory body with a dual mandate to enforce competition and consumer protection law in Ireland. Our mission is to use our knowledge, skills and statutory powers to promote competition and enhance consumer welfare. Our vision is for open and competitive markets where consumers are protected and businesses actively compete. The CCPC was established on 31 October 2014 after the National Consumer Agency and the Competition Authority were amalgamated. The CCPC has a broad mandate, with statutory responsibility for enforcing competition and consumer protection law. As well as our enforcement responsibilities, we have a responsibility to promote competition and consumer welfare. We have a consumer helpline and website which give consumers information on their consumer rights and personal finance products and services. Enforcing competition law– we enforce Irish and European competition law in Ireland. We conduct investigations and can take civil or criminal enforcement action if we find evidence of breaches of competition law. Read more about competition enforcement. Enforcing consumer protection law – we enforce a wide range of consumer protection legislation. We have a variety of enforcement tools to tackle illegal practices by traders. Read more about consumer enforcement. Assessing mergers– we must be notified about proposed mergers, acquisitions and takeovers which reach a certain financial threshold, and all media mergers. We assess whether they are likely to result in a substantial lessening of competition. Read more about mergers. Enforcing product safety regulations– we work to ensure that product safety standards are being complied with through the General Product Safety Directive and other relevant regulations. We also share information about dangerous goods and enforcement measures across the EU through the RAPEX system. Find out more about product safety. Influencing public debate and policy development – we highlight to Government and other policymakers the possible impact of proposed legislation or regulations on competition and/or consumer welfare. We also study markets and recommend ways in which competition or the experience of consumers can be improved. Find out about our advocacy work. Informing consumers about their rights– we empower consumers by giving them information about their rights through our helpline and website. We also run public awareness campaigns. Find out more about your rights. Encouraging business compliance– we aim to foster a culture of business compliance by informing businesses of how to comply with the law. Find out how to make sure your business complies. Personal finance information and education– we have a specific role under legislation to provide personal finance information and education to consumers. Find out more about your money. Grocery sector regulations – we are responsible for monitoring compliance with the Grocery Goods Regulations, investigating complaints and, where appropriate, taking enforcement action. Find out more about grocery sector regulations. Authorised Credit Intermediaries – we share responsibility for the advertising of credit facilities with the Central Bank and have specific responsibility for the authorisation of credit intermediaries and for maintaining the Register of Credit Intermediaries. Alternative Dispute Resolution– we assess applications from parties that wish to become Alternative Dispute Resolution (ADR) entities. ADRs aim to resolve disputes between consumers and traders out-of-court. Find out more about Alternative Dispute Resolution. You can find out more about our functions, activities and vision in our Strategy Statement. The CCPC is governed by an Executive Chairperson and Commission structure. The CCPC’s organisation chart can be seen here. Isolde Goggin is the Chairperson of the CCPC. She also oversees the Organisation Development Unit. She was previously the Chairperson of the Irish Competition Authority, from October 2011 until October 2014. She took up her present responsibilities on 31 October 2014 upon the amalgamation of the Authority with the National Consumer Agency. Patrick Kenny is a Member of the CCPC. As well as collegiate decision making with other Members on all aspects of the organisation, he currently oversees the Criminal Enforcement and Legal Services Divisions. He was first appointed as a Member of the Irish Competition Authority in January 2012 as Director of the Cartels Division. He is an economist. He took up his present responsibilities on 31 October 2014 upon the amalgamation of the Authority with the National Consumer Agency. Patrick previously worked at different times for the Commission for Communications Regulation, the European Commission, Arthur Andersen and the Competition Authority. Fergal O’Leary is a Member of the CCPC. 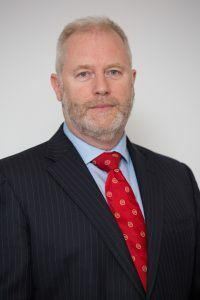 As well as collegiate decision making with the Chairperson and other Members on all aspects of the organisation, Fergal has responsibility at Commission level for the Communications & Policy, Consumer Protection (which includes Grocery Regulations and Alternative Dispute Resolution) and Brexit & International divisions. Prior to taking up his role as Member in July 2016, Fergal was the CCPC’s Director of Communications & Market Insights. He held a number of senior management roles in the National Consumer Agency (a legacy organisation of the CCPC), which he joined in 2008. Fergal was responsible for the NCA’s consumer research, policy analysis, communications, consumer helpline and financial education activities. From 2002 to 2008 Fergal was an energy analyst, examining Ireland’s energy use, in the Sustainable Energy Authority of Ireland’s Energy Policy Statistical Support Unit. 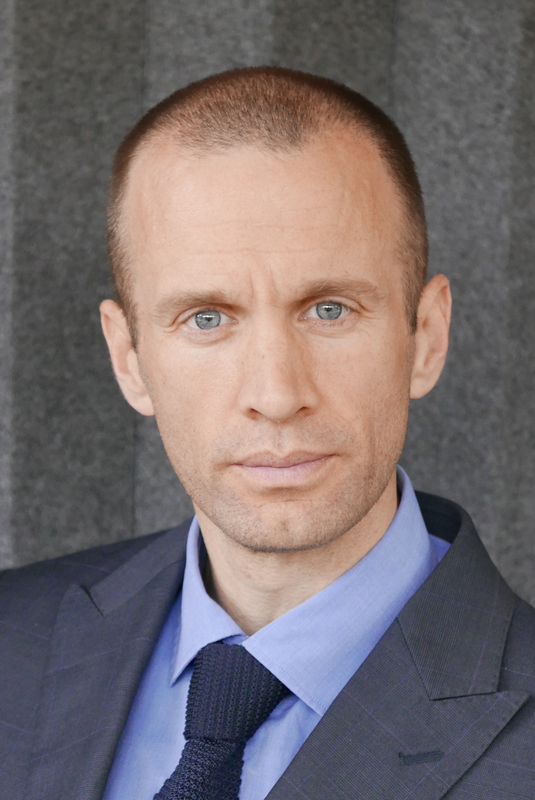 He started his career in regulatory compliance working for Esat. 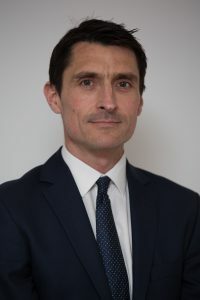 Fergal holds a Master’s Degree in Economics from University College Cork and a Post Graduate Diploma in EU Competition Law from King’s College in London. Brian McHugh is a Member of the CCPC. As well as collegiate decision making with other Members on all aspects of the organisation, he currently oversees the Corporate Services and Competition Enforcement & Mergers Divisions. He was appointed as a Member of the CCPC in September 2017. Prior to this he spent 15 years in Northern Ireland’s Utility Regulator, the body responsible for both regulating and protecting the interests of consumers within the gas, electricity and water utility industries in Northern Ireland. During his time at the Utility Regulator, Brian led the design and implementation of competition to expand the gas network in Northern Ireland. He also oversaw the DS3 project, which increased the capacity of electricity systems to manage more renewable energy sources. Brian holds a BA in Economics from Trinity College, Dublin, and an MSc in Energy Economics from the University of Surrey.